We send some urgent notifications via instant notification. To receive instant notifications you must grant Wantedz permission in your browser. 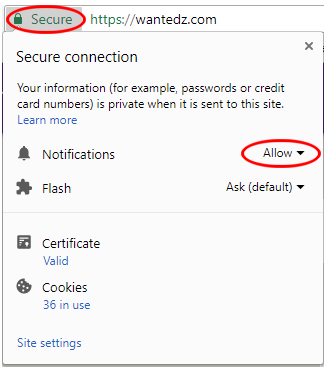 Step 1 - Click the Secure icon to the left the https://wantedz.com domain name at the top of the window.